Have you ever wondered what it would be like talk to Parker Posey? On an airplane, with Parker as your seat companion, perhaps? Parker's irreverent, hilarious, and enchanting memoir gives you the incredible opportunity. Full of personal stories, whimsical how-tos, recipes, and beautiful handmade collages created by the author herself, You're On an Airplane is a delight in every way. In her first book, actress and star of movies such as Dazed and Confused, Party Girl, You've Got Mail, The House of Yes, and so many more, Posey opens up about the art of acting, life on the set, and the realities of its accompanying fame. A funny and colorful southern childhood prepared Posey for a life of creating and entertaining, which not only extends to acting but to the craft of pottery, sewing, collage, yoga and cooking, all of which readers will find in this whimsical, hilarious, always entertaining book. Parker takes us into her childhood home, behind the scenes of the indie film revolution in the 90s, the delightful absurdity of the big-budget genre thrillers she's turned into art in a whole new way, and the creativity that will always be part of both her acting and her personal life. 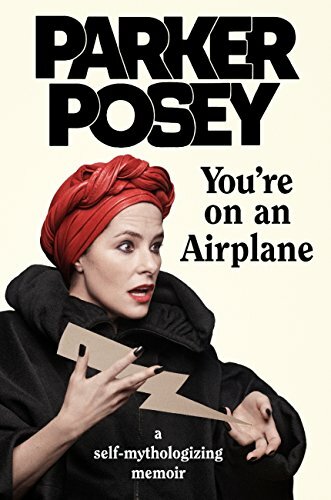 With Posey's memorable, hilarious and poignant voice, her book gives the reader a feeling of traveling through not only a memoir, but an exploration, meditation, and celebration of what it means to be an artist. Buckle up and enjoy the journey. Review: I listened to this book on audio and it was read by the author and that's why I love reading a memoir in audio form. The added bonus to listening to this one on audio was that Parker Posey has written this as if she is chatting to the reader on an aeroplane and so we have added audio features such as the sound of the trolley, the sound of her dog and her speaking to us as if we are her seat mate-it was great fun! One of the other things I love about reading memoirs of actors is the love they have for the film industry and other actors in their field. Parker has some great stories about spending time with actors and directors and also has some great stories about her love of films and actresses from the past. It is great to find out the kind of films that she enjoyed both making and watching. While she does go into the different films she has made and the TV shows she has starred in, she also talks a lot about her personal life, her childhood and her decision to adopt a dog and become vegan. She also includes things like breathing exercises she does, yoga poses and recipes and talks you through them so you could realistically make the recipe or follow the breathing, I thought this was a real added gem! Some of the ideas and beliefs she shares are fairly 'unconventional' and that's also what makes this book stand out from other memoirs I have read recently and I liked how open and honest she was about her opinions and ideas on how things should be and what's wrong with the way they are. 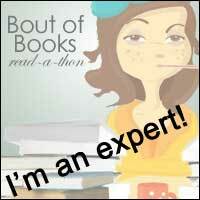 She also explains why she chose the cover image which really was appreciated. I think even if you haven't seen this actress in a lot of things, this memoir stands up on its own as something to read and enjoy and I really recommend the audiobook!